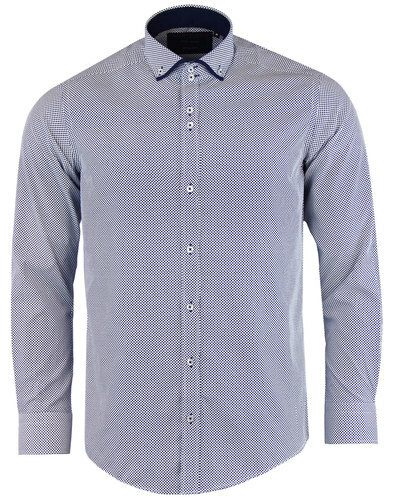 Steen by Farah Vintage - The mercerized finish to this fab cotton Oxford Shirt by Farah Vintage creates a stylish Tailored Mod look. Slim fit to echo Farah Vintage Mod and casuals heritage. Steen Mens Mod Button Down Oxford Shirt by Farah Vintage. 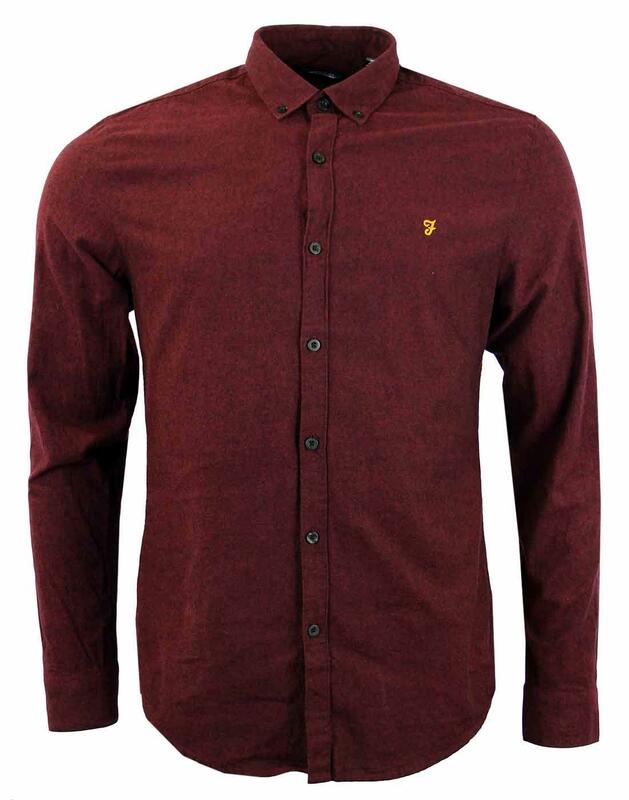 Steen by Farah Vintage is the perfect bordeaux shirt to add to your Retro outfit. Sixties Mod button down short collar, tonal stitch detail throughout. 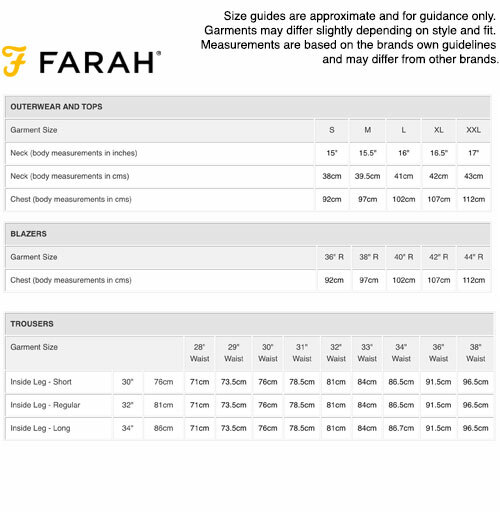 Farah Vintage embroidered motif to chest. 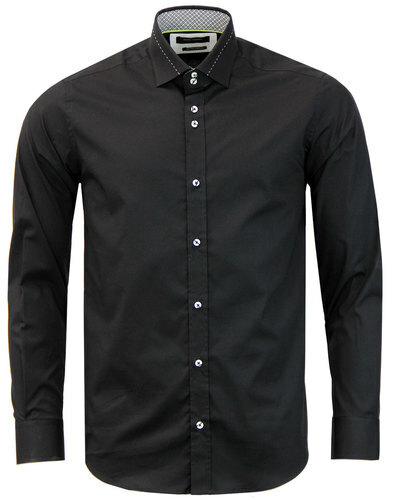 Comes in a neat slim fit block. 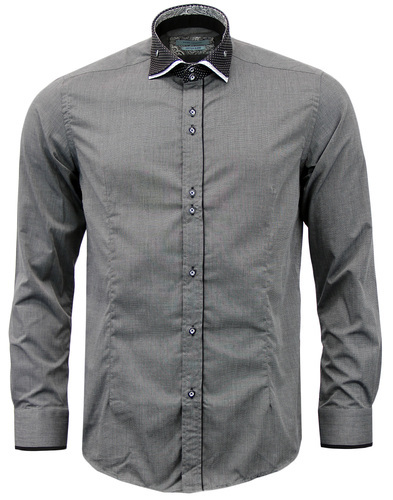 Mercerized fabric finish, subtle buttons to placket. Double button cuff. 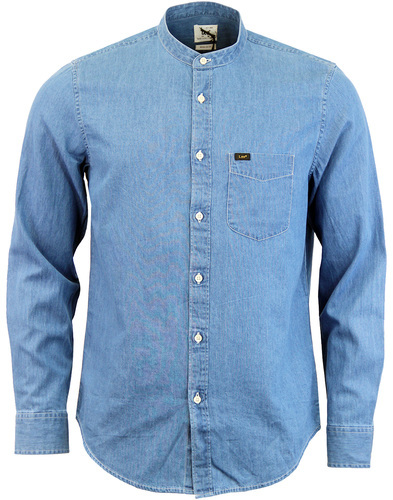 Steen by Farah Vintage is a shirt that effortlessly transcends the boundaries between smart and casual attire.